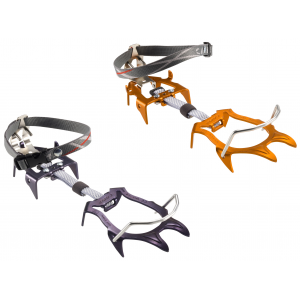 SKU: 9a2c8fe1e50f Categories: Alpine & Ice Climbing, Climb, Crampons;Climb, Products Tag: C.A.M.P. The Camp Race 290 Crampons are the new lightest crampons in the world and the new go-to crampons for competitive ski mountaineering. The patented heel is designed for rapid attachment with the fastest A/T boot models typically made for Dynafit or similar style lightweight backcountry bindings. The Dyneema linking strap reduces weight even further and allows the crampons to be folded onto themselves for packability. 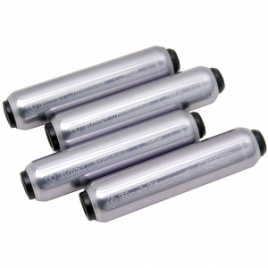 Solid aluminium linking bars are also included for a more rigid fit if desired. Anti-balling Plates optional. Carrying bag included.